Spirit Of Bourgas Starts Tomorrow! 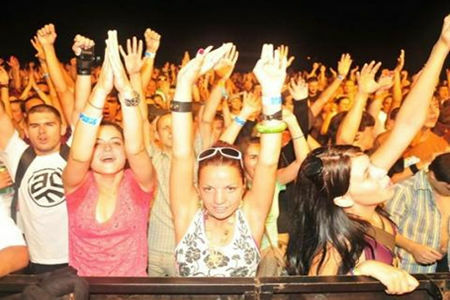 Every year thousands of people get to party during one of the hottest music festivals in Europe. Spirit of Burgas is located on the stunning white clean sands of Bulgaria"s Black Sea Coast and lasts for 3 days every year. This year it starts on the 13th to 15th of August. They have announced a great line-up including DJ Shadow, Gorrillaz and The Prodigy; and this festval is a low-cost festival which is attracting big name performers and afordable to anyone. Those on holiday in Sunny Beach, Elenite, Nessebar, Pomorie can attend with ease as it is only about 30 mins away from the beach resorts listed above. So why not add Spirit of Burgas to your list of things to do next year or if you are already in resort then you can head to the festival and have a great and memorable time. For transfers please speak with your holiday repesentatives who will advise you on how to get there the easiest and most affordable way.